CBG Systems offer customised solutions for heat load reduction and multi-spectral signature management for land-based vehicles and structures. Reduces heat stress on personnel and equipment in the harshest environments. Internal system temperatures can be reduced by up to 25℃. 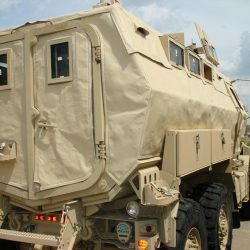 Customisable to suit a variety of applications from vehicles and weapon systems to shelters and control centres. Patented fabric design provides signature management against visual, thermal, radar and ultraviolet detection. 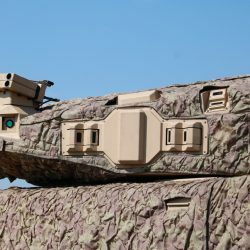 SolarSigmaShield is an innovative and versatile material for camouflage, heat protection and signature management. 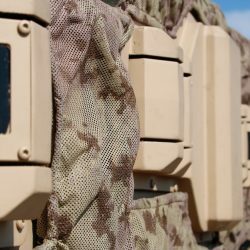 SolarSigmaShield provides a 21st century camouflage solution to protect personnel and equipment.